"Eew, what is that smell?" "Oh, umm, it's just the vacuum cleaner." is a conversation I'd rather not have with a house guest! Around 6 months ago, my husband and I finally had to purchase a new vacuum cleaner. Previous to that, we had a vintage Rainbow Water Vacuum. If you've never heard of them, look it up, they're pretty neat. When it finally gave up and went to vacuum cleaner heaven, we had to find a replacement. We decided to purchase a bagless upright model. It worked great and everything was going fine until we began to notice that after vacuuming, our house smelled worse than before we started. I removed all of the filters and gave them a good wash in warm soapy water. I also washed all of the removable canisters, etcetera. I left everything out to dry for 5 days. Before I put the main filter back in, I did a quick smell test. It smelled horrible. It just reeked. I finished reassembling the vacuum anyway and then got to thinking. The filters were sparkling clean after I washed them. So, the smell was ingrained into the filter. I had to figure out a way to deodorize it. 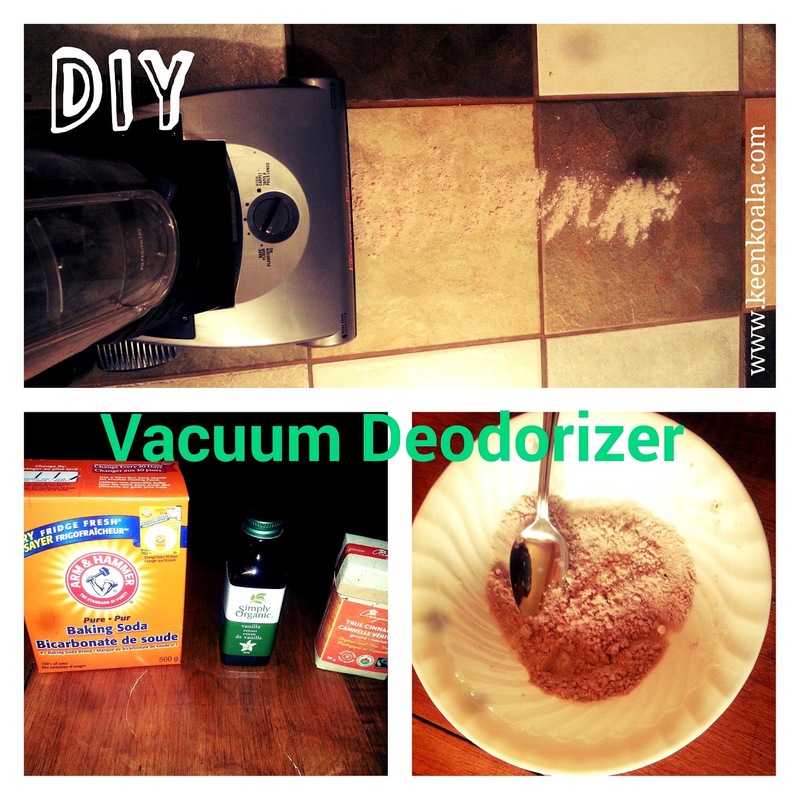 That's when I came up with this super simple deodorizer recipe for bagless vacuums. It smells amazing and the best part is that it's all natural and chemical free! In a bowl, combine aforementioned ingredients. 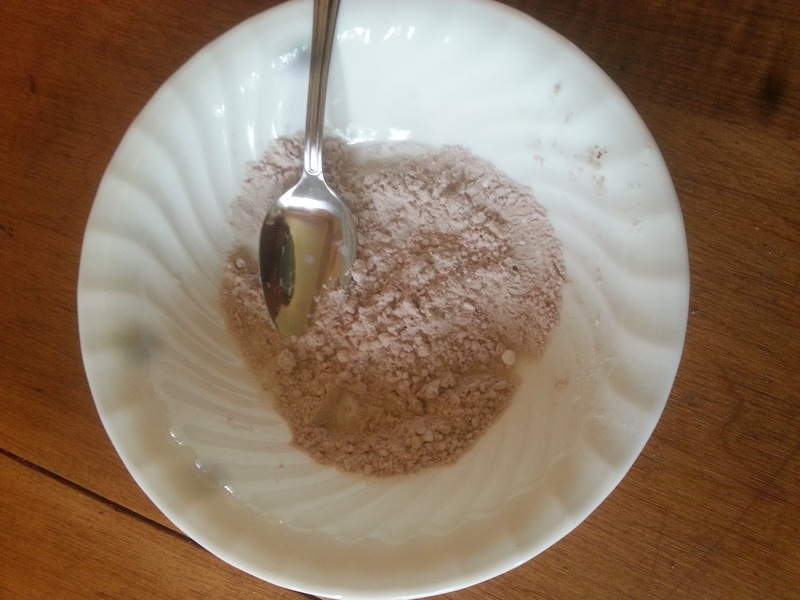 Sprinkle the mixture onto a hard surface floor. I used the tile floor in my bathroom. 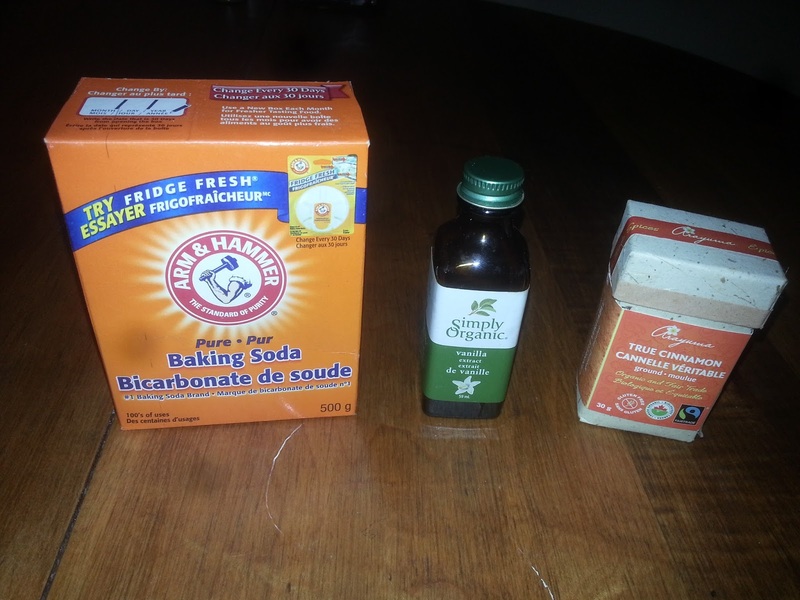 Starting with a clean vacuum (empty canister and washed filters), vacuum up the baking soda mixture. Empty the canister onto the floor and vacuum it up again. Do this 3 or 4 times to make sure that the mixture gets through all of the potentially smelly nooks and crannies. You should now be happily sniffing the pleasant scent of vanilla and cinnamon coming from your vacuum. No more stinky vacuum for you (or me)! 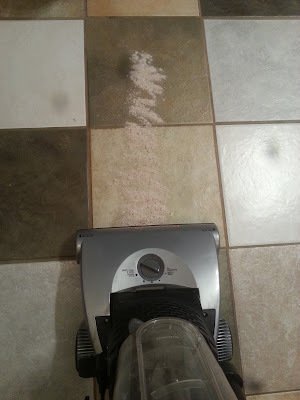 Leave the mixture in the canister to continue deodorizing, then dump as usual after the next time you vacuum. 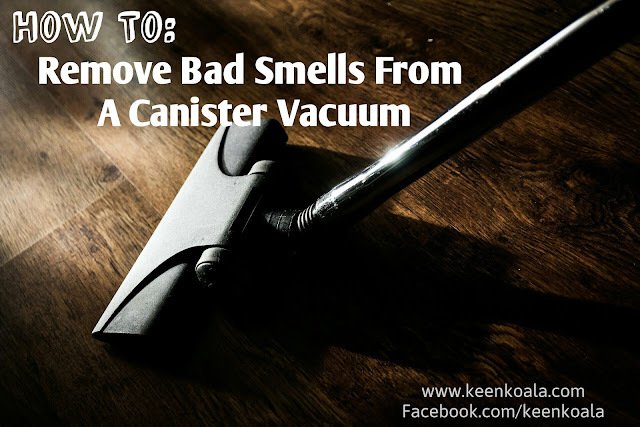 You can use this method once per month, or as often as you wish, to keep your vacuum smelling fresh! *Note: If your vacuum is particularly stinky, you may have to whip up a second batch of the mixture and go through the sequence a second time. Have you ever noticed that bagless vacs can become quite malodorous after time? Did you try my recipe or do you have one of your own? Let me know in the comments section below. I would love to hear from you!